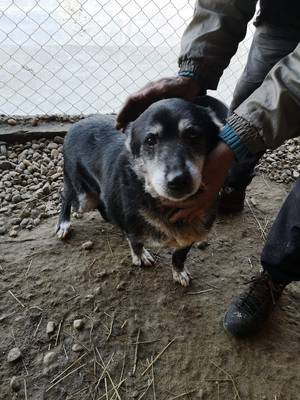 Zorro is an 8 year old male Cross-Breed. Zorro is around 8 years old, he’s very friendly with people and other dogs but hasn’t been cat tested. Children over 8 only. Homecheck and adoption fees apply (minimum donation £265). Zorro will be vaccinated, neutered and chipped with his own passport. For further details about adopting a dog from SOS Romanian Rescues South West of England, please email info@romrescue.org Please note this rescue performs home checks prior to adoption and full post adoption support. All dogs rehomed are vaccinated, microchipped and spayed/neutered (depending on age).